Dr. Silvia Hostettler studied Tropical Environmental Science at the University of Aberdeen (UK) followed by a postgraduate course on development studies with EPFL, which took her to Burkina Faso for six months. She worked with IUCN – The World Conservation Union as Coordinator of the Cloud Forest Initiative. In 2001, she was recruited as Research Program Coordinator at EPFL in the framework of the Swiss National Centre of Competence in Research North-South. At the same time, she fulfilled a mandate for backstopping regional workshops in Ethiopia, Kenya, Cuba, Bolivia, Nepal, and Vietnam. In 2007, she obtained her PhD on land use change and international migration in western Mexico. From 2008 to 2012, she was based in Bangalore, India as Executive Director of swissnex, a Swiss House for Science facilitating research collaboration between Switzerland and India. During her posting in India, she set up the swissnex office, hired the team, and organized over 50 events. Since September 2012, she is Deputy Director of the Cooperation & Development Center [CODEV] at EPFL in Switzerland where she is responsible for coordinating research activities and for directing the Biennial International Conference of the UNESCO Chair in Technologies for Development. She is also in charge of the education programs offered by CODEV at Master and Bachelor level. She gives lectures in the field of cooperation and development. 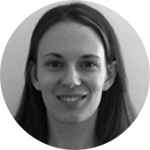 She is a member of the Editorial Board of the Journal of Development Engineering (Elsevier) and of the Commission for Research Partnerships with Developing Countries [KFPE]. Mr. Marco Albertini is one of the Coordinators for the WatHab-engineering department of the International Committee of the Red Cross. He earned an MSc in Environmental Engineering at Politecnico di Milano and was awarded as distinguished alumnus in 2015 for his international career in the humanitarian sector. He is currently deployed in Lebanon after having covered several countries, among which Pakistan, Palestine, Ethiopia and the Philippines. His current fields of work concern topics related to access to essential services as water supply, electricity and housing for civilian population in situations of conflict or post-natural disasters as well as improvement of detention facilities and hospitals. 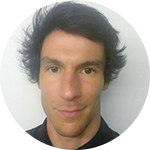 Dr. João Almeida is a Postdoctoral Researcher with the Earthquake Engineering and Structural Dynamics Laboratory at EPFL. He completed his studies in civil engineering at the Instituto Superior Tecnico, Lisboa. 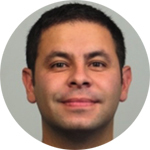 Recently, Dr. Almeida won for his paper "Adaptive force-based frame element for regularized softening response" the award for the best paper in earthquake engineering and seismology 2014 by the Portuguese Society Earthquake Engineering. The paper is co-authored by S. Das and R. Pinho and published in Computers & Structures. 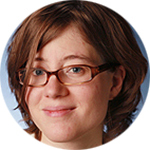 Prof. Katrin Beyer is Assistant Professor at EPFL and Head of the Earthquake Engineering and Structural Dynamics Laboratory. After completing her undergraduate studies at the Federal Institute of Technology in Zurich [ETHZ], she worked for two years for the consulting firm ARUP in London, UK, on projects related to structural dynamics, impact, and seismic analysis. She received her PhD from the University of Pavia, Italy. Her research addresses the seismic behavior of reinforced concrete walls and of unreinforced masonry structures. She develops analytical and numerical models for predicting the seismic response and validates these against large-scale tests on components and structures. David N. Bresch has been appointed Professor for Weather and Climate Risks at the Swiss Federal Institute of Technology, ETH Zürich and MeteoSwiss in 2016. This joint appointment with MeteoSwiss will significantly strengthen the strategically important alliance between the two institutions in the field of weather and climate risks, climate adaptation and climate mitigation. Previously, he worked at Swiss Re 200-2016; his roles included Head Business Development Global Partnerships, Global Head Sustainability, Head of University and Risk Research Relations, Head Atmospheric Perils Group and Chief modeller for natural catastrophe risk assessment. He has been a member of the deal teams for many innovative risk transfer transactions, like cat bonds and weather index solutions. David Bresch has been a member of the official Swiss delegation to the UNFCCC climate negotiations 2009-2012 and will again COP21 in Paris (2015). He served as member of the Private Sector Advisory Group (PSAG) of the UN Green Climate Fund (GCF, 2014-2016), is active as steering committee member of ProClim, and member of OcCC, the Federal administration's Advisory Body on Climate, Switzerland. At the Swiss Federal Institute of Technology, ETH, he lectures since 2010 on economics of climate adaptation. Further, he acts as board member of WWF Switzerland, Academia Engelberg and sanu future learning AG. 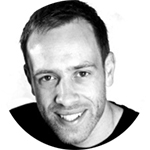 David Bresch holds a PhD in physics from the Swiss Federal Institute of Technology, ETH Zurich, Switzerland. Prof. Anthony Davison has published on a wide range of topics in statistical theory and methods, and on environmental, biological, and financial applications. His current main research interests are statistics of extremes, likelihood asymptotics, bootstrap and other resampling methods, and statistical modeling. Davison has research links with, amongst others, the NCCR Plant Survival at the University of Neuchâtel, for which he leads a group of researchers undertaking statistical and dynamical modeling. The problems studied here are very varied, ranging from methods for the analysis of microarray data, through modeling the behavior of wasps and moths, to assessment of the effects of grazing by cows in their pastures. 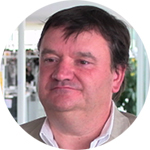 In 2009 he was awarded a laurea honoris causa in Statistical Science by the University of Padova, in 2011 he held a Francqui Chair at Hasselt University, and in 2012 he was Mitchell Lecturer at the University of Glasgow. 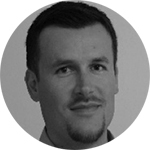 He has assumed numerous editorial roles throughout this career and is currently Editor of Biometrika (2008- ). Davison’s PhD work was in the area of statistics of extreme concerns rare events, in a project joint between the Departments of Mathematics and Mechanical Engineering at Imperial College, with the aim of modeling potential high exposures to radioactivity due to releases from nuclear installations. In 2015 he received the Guy Medal in Silver of the Royal Statistical Society. 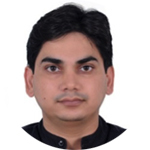 Mr. Sanjaya Devkota is a PhD Researcher at the Department of Engineering, Trivhuban University Nepal. Civil Engineer by profession Mr. Devkota specializes in Planning and Monitoring of Development projects, GIS and RS: application in Geo-hazards, and resources planning, Landslides and Flood Hazard Assessment and mitigation, soil bio-engineering and eco-safe rural roads, Environmental Impact studies, Hydropower and River Hydrology, etc. Ms. Emily Eros is the GIS Team Lead for the American Red Cross, where she manages the team’s international programs, disaster response activities, and efforts to promote open data. Eros' work includes the Missing Maps program. As part of the project, she recently planned and managed efforts to map over 6,000 villages in West Africa using local volunteers equipped with motorbikes and cell phones. She has provided remote or on-the-ground support to disasters such as the European migration crisis, the West Africa Ebola outbreak, and the Nepal earthquake, and has conducted projects in over 15 countries. Eros holds a Master’s in City Planning from MIT. 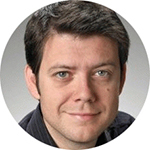 Dr. Alessio Ferrari is Research Associate at the Swiss Federal Institute of Technology in Lausanne (EPFL, Switzerland). He earned an MSc in Environmental Engineering and a PhD in Geotechnical Engineering. He was appointed as a Marie-Curie post-doctoral fellow at the EPFL and at the Polytechnic University of Catalonia (UPC, Spain). He re-joined the Laboratory of Soil Mechanics at the EPFL in 2009. His current main research interests are in geomechanics for geo-energy systems, experimental and constitutive analysis of the thermo-hydro-chemo-mechanical behavior of complex geomaterials, development of advanced testing facilities for multiphysical testing of soils and shales, pore scale testing, and natural hazard assessment. He has been active in the organization of scientific events at the international level, in particular in the field of geotechnics for energy-related applications. He has been acting as principal investigator in EC and national (Swiss) research projects. He is currently lecturer of the courses in “Slope Stability” and “Experimental Geomechanics” at the EPFL. 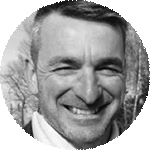 Mr. Frédéric Fournier serves as the Deputy Director of Strategy and Development at CSD. He has multidisciplinary competencies in the fields of geology and environment. Active in project management in Switzerland and internationally (Yemen, Tunisia, Senegal), his technical expertise embraces engineering geology, geotechnical engineering, evaluation and assessment of contaminated sites and hydrogeology. He is also responsible for developing and expanding CSD Group activities at international level in the field of Management of Risks from Natural Hazards and Disaster Risk Reduction (DRR). Mr. Fournier holds Maters in Science Degree in Geology and Maters in Science Degree in Hydrogeology. 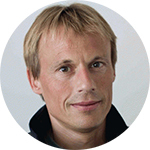 Dr. Holger Frey is a Research Associate University of Zurich, PhD in glaciers and glacier lake mapping and analyses with GIS and remote sensing. Working experience in research and cooperation projects on climate impact in Peru and India; expertise in glacier hazards and risks. 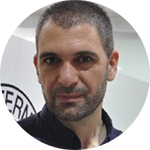 Mr. Cristiano Giovando is a geographer and advocate of open data and open source geospatial software. At the humanitarian OpenStreetMap Team, he coordinates technical project and imagery acquisition during disaster response activations. In 2015 Cristiano lead the creation of OpenAerialMap, a platform for sharing and finding openly licensed imagery. He was previously a scientific officer at the European Commission, developing an open source system for wildfire information and mapping called EFFIS. 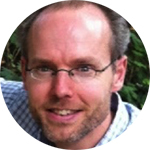 Dr. Stéphane Joost is a quantitative geographer specialized in the contribution of Geographic Information Science approaches for the analysis and the management of plant and animal genomic resources. He is a Research and Teaching Associate at the GIS Laboratory [LASIG] at EPFL where he applies spatial analysis, spatial statistics, spatial modeling, geovisualization, mapping, and geocomputational methods to evolutionary biology. He also makes use of environmental engineering monitoring tools (e.g., meteorological stations, airborne sensors) to enhance the quality and the spatial resolution of geo-environmental data used in landscape genomics models. He currently serves on the editorial boards of BMC Genetics (Associate Editor), Frontiers in Genetics (Associate Editor), Frontiers in Ecology and Evolution (Review Editor), Frontiers in Environmental Informatics (Review Editor) and of the International Journal of Geomatics and Spatial Analysis (Revue Internationale de Géomatique). 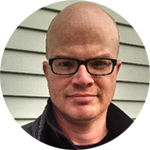 He also serves on the Standing Committee of the Association of American Geographers [AAG] for the attribution of the William L. Garrison award for best dissertation in computational geography. Professor Fernand Kouame has a PhD in Natural Sciences and Research. He is Professor and Researcher at the University Félix HOUHPOUËT-Boigny Abidjan-Cocody (Ivory Coast). He coordinates teaching and research activities in Geomatics applied to the management of natural resources at the University Centre for Research and Application in Remote Sensing (CURAT). 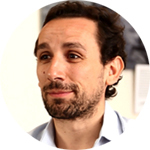 He is a member of the "Remote Sensing Network” (Réseau Télédét) of the Agence Universitaire de la Francophonie, and has participated in many research projects on the digital processing of satellite data and their integration into Geographic Information Systems. Prof. Michael Lehning has been appointed EPFL Full Professor of Cryospheric Science at the School of Architecture, Civil and Environmental Engineering [ENAC] (at 30%) and at the Swiss Federal Research Institute for Forest, Snow and Landscape Research [WSL] (at 70%). Michael Lehning is internationally recognized for his innovative approaches to the study of the dynamics of snow-cover and the prevention of alpine risks. He pioneered the SNOWPACK and Alpine3D modeling tools. These analytical tools are indispensable today for preventing avalanches in high-risk environments, and he not only developed them but also helps to update them. 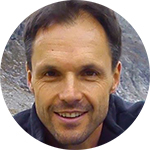 Michael Lehning has also contributed to developing measurement networks in alpine regions, taking account of the physics and dynamics of snow and climatic variations, as well as the risks of avalanches. Dr. Kamilo Melo has a BSc in Electronics (2003), MSc in Mechanics (2005) and PhD in Robotics (2013). He joined the Biorobotics Laboratory, in August 2014. He is working on the development of biologically inspired robots. His efforts are aimed to the design of sturdy salamander robots and components for its deployment in search and rescue missions. He enjoys designing, modeling and controlling highly redundant robots, particularly bio-inspired ones like modular snakes and salamander robots. Unique mobility and manipulation capabilities of such robots, and its promissory applicability in different fields (search and rescue, biology, neurosciences, space, paleontology, etc.) are key factors of his research. He gives importance to actuation, power density, building materials, multi-body and multi-scale dynamics, geometry, and compliance and non-linear modeling fields. His interests cover the development of reliable hard/software systems (including physics simulation) and their integration in robust robot architectures. Morphometrics and function in biology are often the prime sources of his engineering robotic design principles. The ultimate goal of his work is to draw information from biology to extract design principles to design robots and experiments to propose hypothesis and answer questions of biological and engineered motion systems that operate in complex environments. 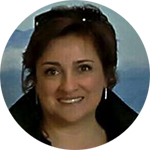 Dr. Silvia Peppoloni, PhD, is a geologist, and since 1999 researcher at the Italian Institute of Geophysics and Volcanology in Rome. Her scientific activity covers the fields of geomorphology and engineering geology, focusing on the seismic, geomorphological and geotechnical aspects aimed at the hazards evaluation. She is a frontliner among the international proponents of Geoethics and involved in the base research focused on epistemological, methodological and ethical issues related to the Earth Sciences. She is Founder member and Secretary General of the IAPG - International Association for Promoting Geoethics. She is councilor of the IUGS – International Union of Geological Science for the quadriennium 2018-2022, coordinator of the Section on Geoethics and Geological Culture of the Italian Geological Society, member of the Executive Council of the Italian Section of the IAEG - International Association of Engineering Geology and the Environment. Author of scientific articles in international journals, editor of books on Geoethics by publishers like Elsevier, Springer and Geological Society of London, she is among the promoters of a "Hippocratic-like Oath" for geoscientists and author of the book “Convivere con i rischi naturali” ("Living with natural risks"), published in 2014 by "Il Mulino" and included among the finalists of the 2014 Italian Award for Science Communication. Mr. Jacobo Quintanilla (@jqg) works as Community Engagement Advisor at the International Committee of the Red Cross (ICRC). He has been working at the intersection of media, communications and technology in the humanitarian sector for the last 12 years in more than 20 countries with a passion for communication as form of aid in its own right (#commisaid). 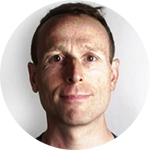 He is PopTech Social Innovation Fellow and serves as Technical Reviewer for DFID’s Humanitarian Innovation Fund (HIF) and in the judging panel on the Best Use of Mobile in Humanitarian Situations for the GSMA Global Mobile Awards (2012-2014). 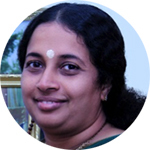 Professor Maneesha V Ramesh is Professor and Director of Amrita Center for Wireless Network and Applications and also holds the position of Dean in the International Program of Amrita University. She co-directs the Indo-Us & International Initiatives at the Amritapuri Campus, Amrita University. She is a reviewer for the International Journal of Digital Earth, and a member of the Technical Program Committee for SENSORCOMM 2010. Professor Ramesh was an Editorial Board member & Advisory Committee member for International Conference on Computing ICC 2010, New Delhi. She earned a PhD in Computer Science from Amrita University, which has been instrumental to create the affordable system for landslide monitoring and early warning using wireless sensor network. Mr. René Saameli graduated in 1995 from the Swiss Federal Institute of Technology (EPFL) with a master's degree in civil engineering and hydrology. He joined the International Committee of the Red Cross (ICRC) in 2000. After several assignments in Africa and the Middle East as an ICRC Water and Habitat coordinator, he joined in 2006 the ICRC headquarters in Geneva, where he set up a mapping and geographic information management capacity. He now supervises a distributed team of over 30 GIS officers working in the headquarters and major ICRC operations. 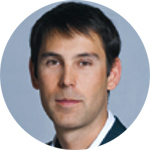 Dr. Andrew Schroeder, PhD is the co-founder and Chief Operating Officer of WeRobotics, a global non-profit organization which scales the ethical, safe and effective use of robotics for humanitarian aid, development, environment and global health. In addition to his role at WeRobotics, Andrew is the Director of Research and Analysis for the humanitarian medical NGO Direct Relief. He is also a co-director of UAViators, the Humanitarian UAV Network, and the founder of the UAV Working Group at Nethope. Dr. Schroeder has been recognized by Esri, Fast Company, Nominet Trust, the Clinton Global Initiative, and others as a world leader in the application of geographic information systems (GIS) to humanitarian aid and global health. His work has appeared or been cited in publications including The Lancet, The International Journal of Cancer, The New England Journal of Medicine, SciDev, Business Week and Huffington Post. He received his PhD in Social and Cultural Analysis from New York University (NYU) and his Masters in Public Policy from the Ford School of Public Policy at the University of Michigan. 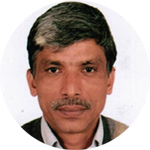 Mr. Yeeshu Shukla is a development and humanitarian professional. He carries several years of experience on program development with sound understanding on macro policy issues in the area of Emergency response, recovery and reconstruction; Disaster Risk Reduction; Climate Change Adaptation and Resilient Livelihoods with a focus on pro-poor strategies. 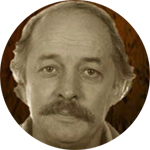 Dr. Marc Soutter holds an EPFL degree in Agricultural Engineering and a PhD. Since 2001 and after a postdoctoral stay in the United States and a few years of activity in the private sector, he is responsible for a research group in the field of developments in the laboratory of hydrology and development at EPFL. The multi-thematic approaches, comprehensive and integrated management of natural resources, especially water, are the focus of his research. 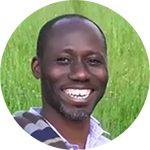 At EPFL, he teaches Environmental Sciences and Engineering Courses (GIS Design, Human Settlements in African Cites, and Urban Planning in the South). 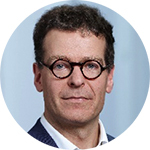 Mr. Roland Steinmann is an international consultant with a rich experience in property reinsurance and in developing and implementing microinsurance products for the low-income population in emerging economies. His focus is on building local capacity and creating sustainable solutions that satisfy all relevant stakeholders. He advocates for integrating insurance into broader risk management approaches and other services essential for allowing people to move out of poverty and stay safe. Dr. Karen Sudmeier-Rieux is an education and training consultant with the United Nations Environment Programme, with whom she conducts training workshops on ecosystem-based disaster risk reduction and has developed an online course: “Disasters and Ecosystems: Resilience in a Changing Climate.” She is also a senior researcher at the University of Lausanne, Institute for Earth Science, where she manages a research project on landslide risk, bio-engineering, migration, resilience and vulnerability of mountain communities in Western Nepal. She has published a number of articles on the topic of resilience for disaster risk reduction as well as several articles on community-based landslide management in Nepal, the Pakistan 2005 earthquake and the relation between deforestation, land tenure and landslides. 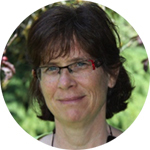 She is the co-editor ofseveral books including, Renaud, F., Sudmeier-Rieux, K. and Estrella, M (2013) (Eds)“The Role of Ecosystems in Disaster Risk Reduction” UNU-Press, in addition to a number of IUCN publications on ecosystems, livelihoods and disaster risk reduction. 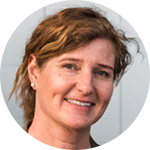 She holds a PhD in Environmental Science from the University of Lausanne and Masters’ degrees in international development and forest ecology. As an applied researcher, Dr. Marc van den Homberg focuses on how (big) data and information management can improve preparedness and response to natural disasters and complex emergencies. 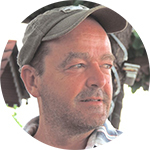 Marc founded TNO’s ICT4D team and is member of NATO’s Research and Technology Group on Social Media and IT for Disaster and Crisis Response. Marc works for Cordaid on data-driven development of people-centered and digitally inclusive flood early warning systems (Bangladesh and cross-border in Nepal and India). Marc participated in innovative field-research in The Philippines after Typhoon Haiyan. Marc delivered a consultancy with Dalberg for UN OCHA and The Netherlands Ministry of Foreign Affairs on a vision for and the feasibility of an entity to improve the use of data across the humanitarian ecosystem. With Leiden University Marc performed a gap analysis on the data policies for UN OCHA's main ICT systems and processes and contributed to the development of a humanitarian data risk taxonomy. Marc holds IFRC’s disaster management certificate, an MBA and a PhD in physics. Mr. Stefano Villa is Senior USAR Advisor and Member of Swiss Rescue. He has been working for more than 25 years as a Search and Rescue specialist in the Swiss Armed Forces. He is the Head of the USAR TU Engineer/Rescue and the Deputy Chief CIMIC (S9), TU Engineer/Rescue. He trains trainers in Search and Rescue. He studied at the Zurich University of Applied Sciences (ZHAW), IAP Institute of Applied Psychology, Zurich. Professor Max Wyss is Prof. Emeritus, Expert ICES, and Seismic Hazard & Risk Consultant. He received a diploma in Geophysics from the Federal Institute of Technology, in Zurich, Switzerland and an MSc and PhD in Seismology from the California Institute of Technology, in Pasadena, California in 1970. After working as research scientist at the Scripps Institute of Oceanography in La Jolla, California and at the Lamont-Doherty Observatory, Palisades, New York, he joined the Cooperative Institute for Research in Environmental Sciences at the University of Colorado, Boulder. There he worked from 1973 through 1991, advancing from Assistant to Full Professor. In 1991, he joined the Geophysical Institute of the University of Alaska, Fairbanks occupying the endowed chair of the Wadati Professor of Seismology. From 1993 to 1995, he was State Seismologist of Alaska. From 2001 to 2014 he served as the Director of the World Agency of Planetary Monitoring and Earthquake Risk Reduction in Geneva. In 2015 he joined the International Center for Earth Simulation in Geneva as scientific expert. He is Professor Emeritus of the University of Alaska. The awards he received included the Humboldt Senior Scientist award and a number of awards for specific research papers. For 15 years he served as editor of Pure and Applied Geophysics. The most important chairmanship of an international committee he held was that of the IASPEI Sub-commission on Earthquake Prediction during the years 1987-2002. As member of the European Evaluation Committee for Earthquake Prediction, he was asked to criticize the false claim of a prediction method. He also served on review panels of NASA, the National Science Foundation (USA), the US Geological Survey, and the German Geotechnologien program. Professor Wyss’ 200 scientific publications deal with the following topics, among others: Seismic source parameters, crustal deformation, stress tensor causing earthquakes, pore pressure related to earthquakes, seismicity patterns, earthquake prediction, seismic hazard and risk, earthquake loss estimates, seismotectonics, historic seismicity, as well as seismicity related to volcanoes. During his career, he worked in a number of countries and a number of institutions as visiting scientist. On an international external review team, Prof. Wyss twice evaluated the national seismology program of India and twice the performance of five national research laboratories in Greece. 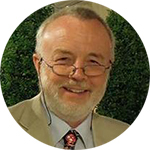 His consulting activity includes seismic hazard analyses for dam sites and oil fields in South America, Central America and Asia. He served on numerous external review panels of scientific projects. Prof. Wyss founded the GPS consortium of American Universities, UNAVCO.